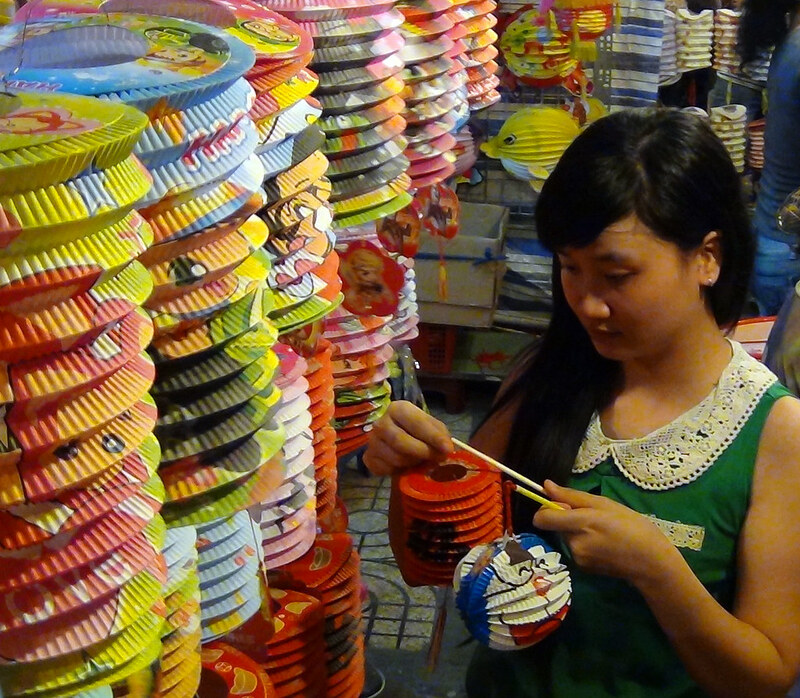 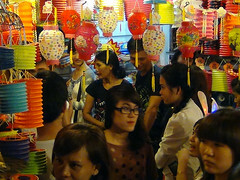 This weekend throughout Vietnam people are celebrating “Tet Trung Thu” or the Mid-Autumn Festival. 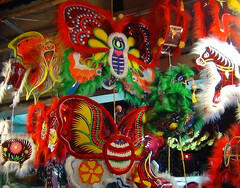 It is often referred to as a children’s holiday and is associated with harvest time and set by the lunar calendar always with the full moon. 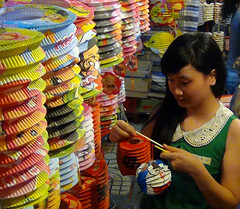 Families get together, enjoy going out to view the full moon, eating traditional mooncakes and decorating with lanterns. Children especially will have lanterns given to them, or make them and walk with their families carrying the lanterns in the dark of the evening. 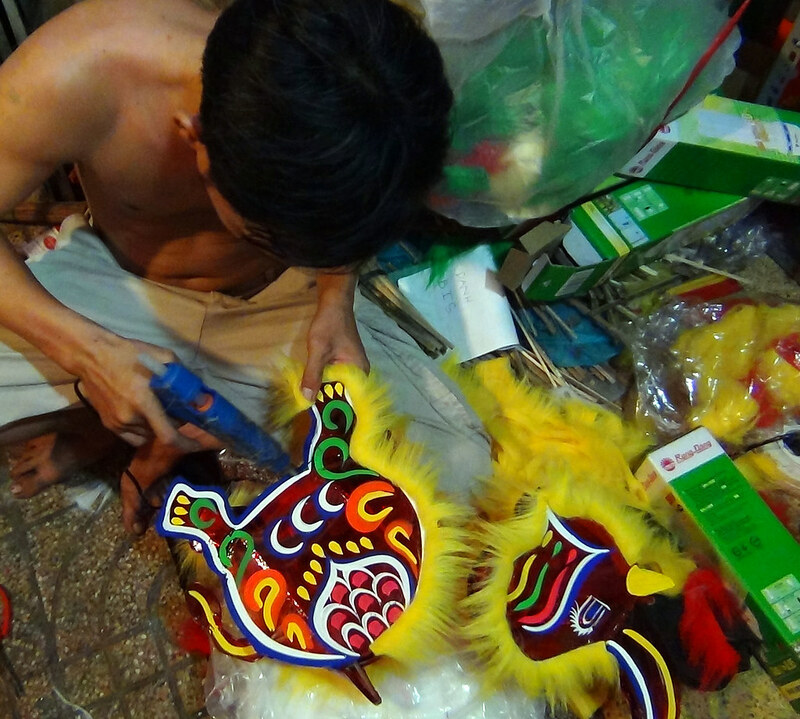 There is a traditional story associated with Tet Trung Thu that involves a woman who inadvertantly desecrates a sacred tree which results in her being transported to the moon and separated from the world. 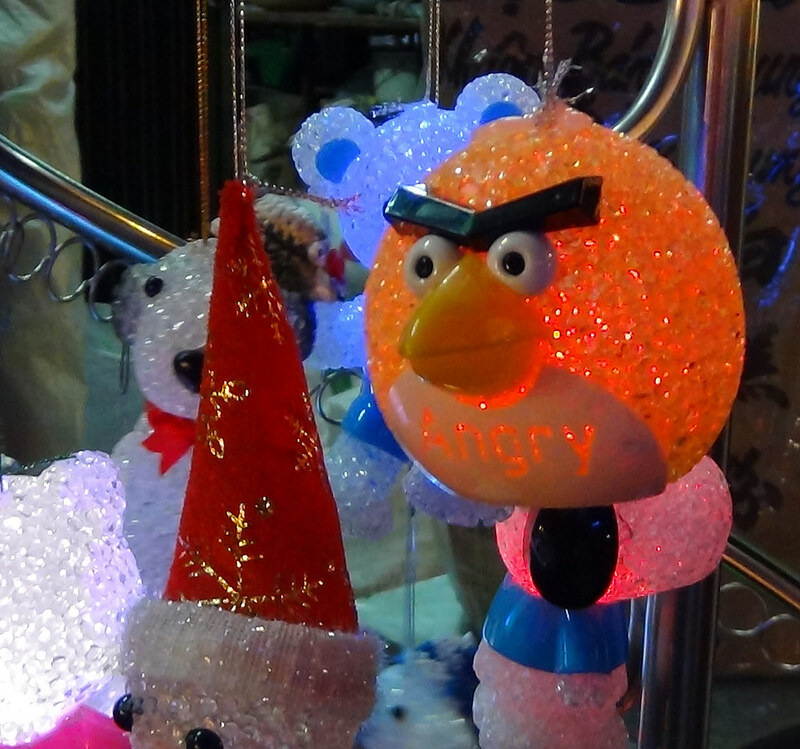 Her face is that seen in the moon each Autumn. It’s a fun story, and has some elements that bear remembering – where there is sin there is punishment. 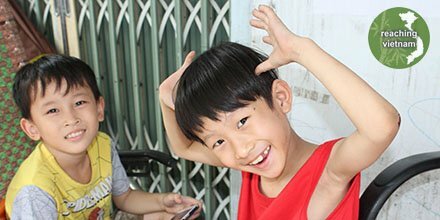 Please pray with us for the peoples of Vietnam to embrace the Light of the world! 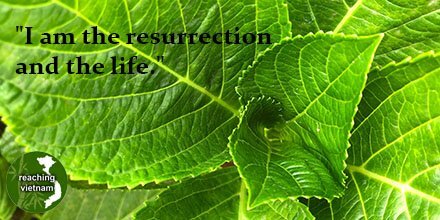 Pray that all will see the true light found in Jesus and place their faith in Him receiving God’s gift of grace and salvation! 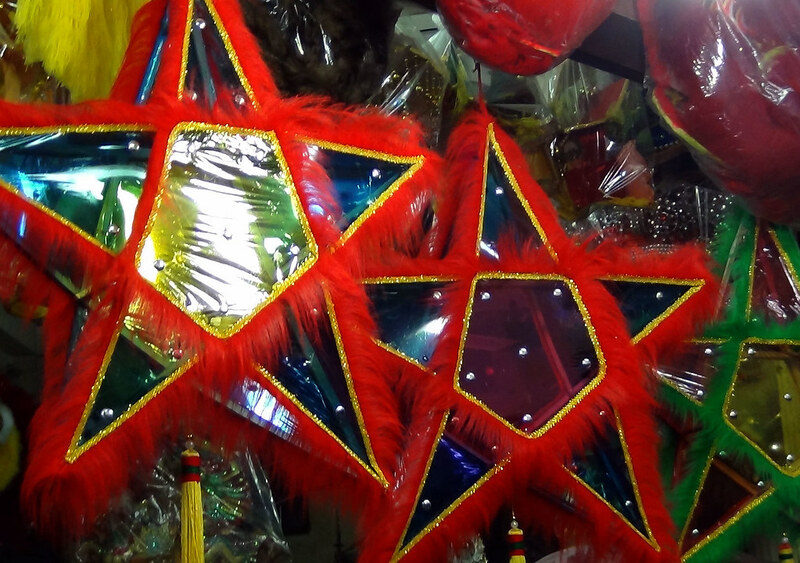 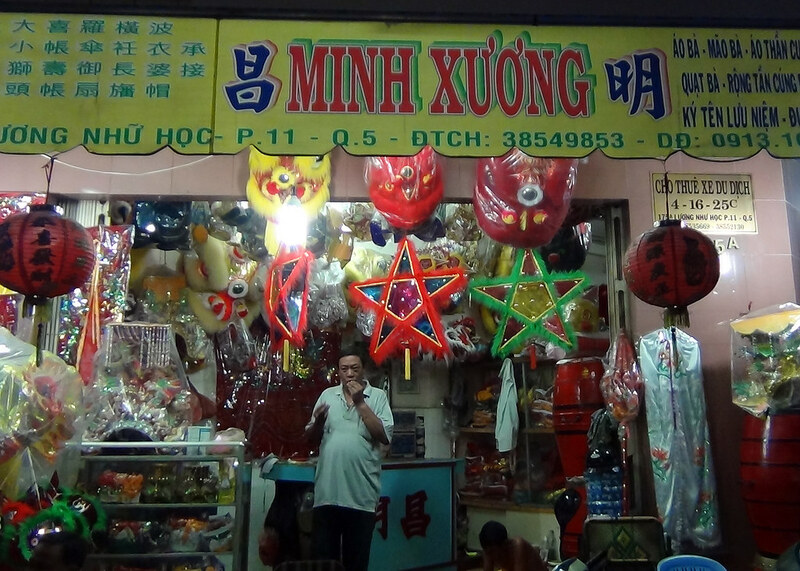 Traditional five pointed star lanterns. 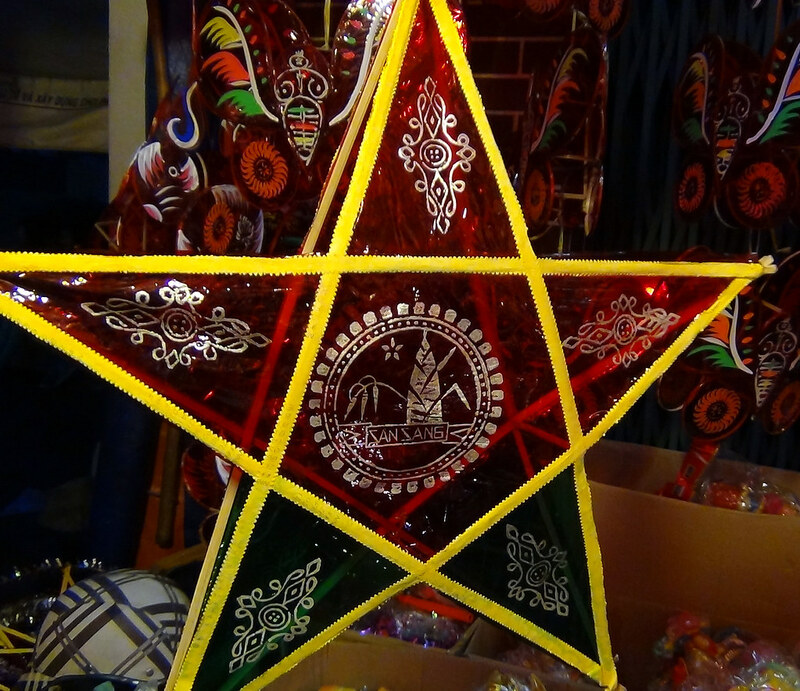 May the VN peoples find the Savior of the Star of Bethlehem! Using a glue gun to assemble the trim on a Mid-Autumn lantern. Animals of the zodiac are popular lantern themes - pray for trust in God alone. 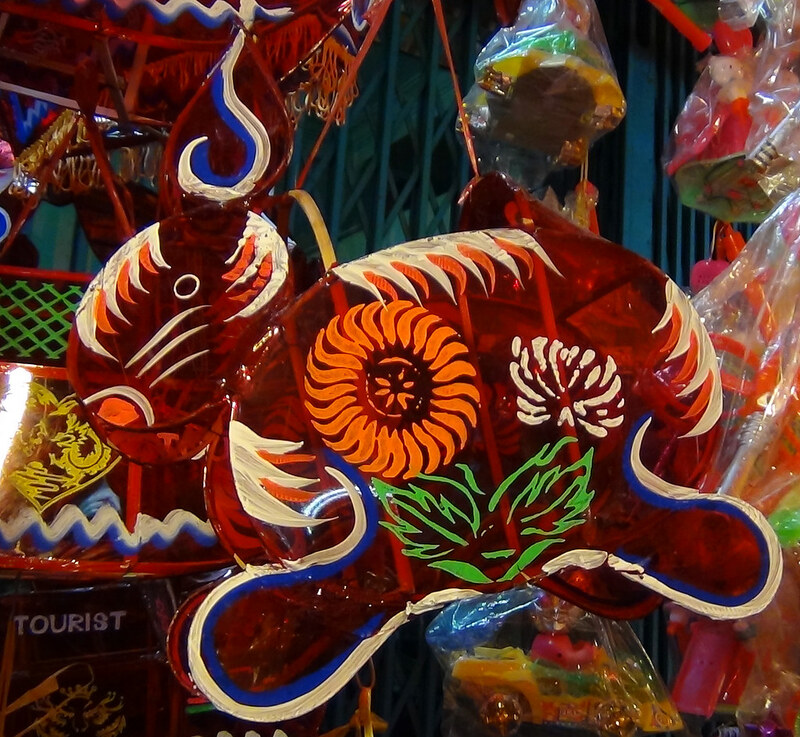 Butterflies and bright colors for lanterns. Pray for the peace and hope of Christ for the peoples of VN. 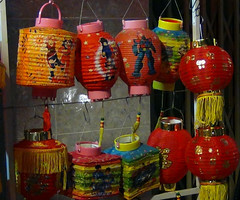 Paper lanterns with your favorite Asian super heroes. 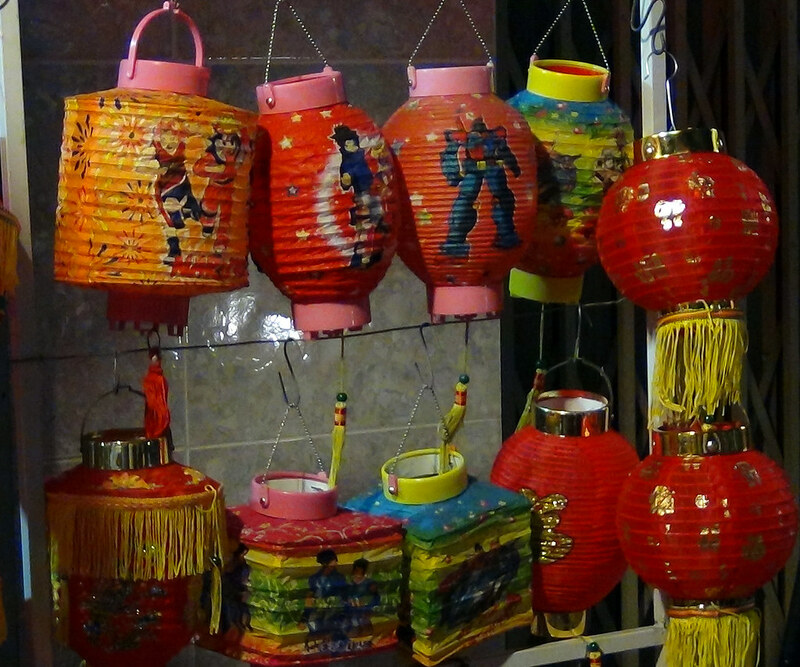 Paper lanterns with cartoon themes for children. 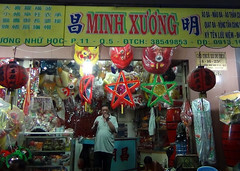 Cholon in Ho Chi Minh City is home to many Chinese businesses. 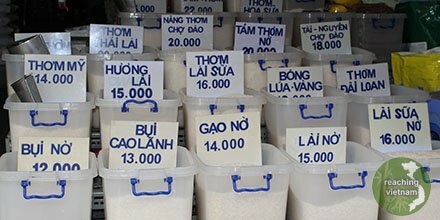 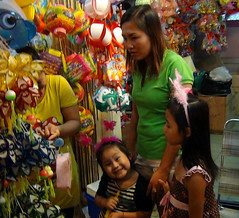 Tet Trung Thu is enjoyed by all but especially seen as a children's holiday. 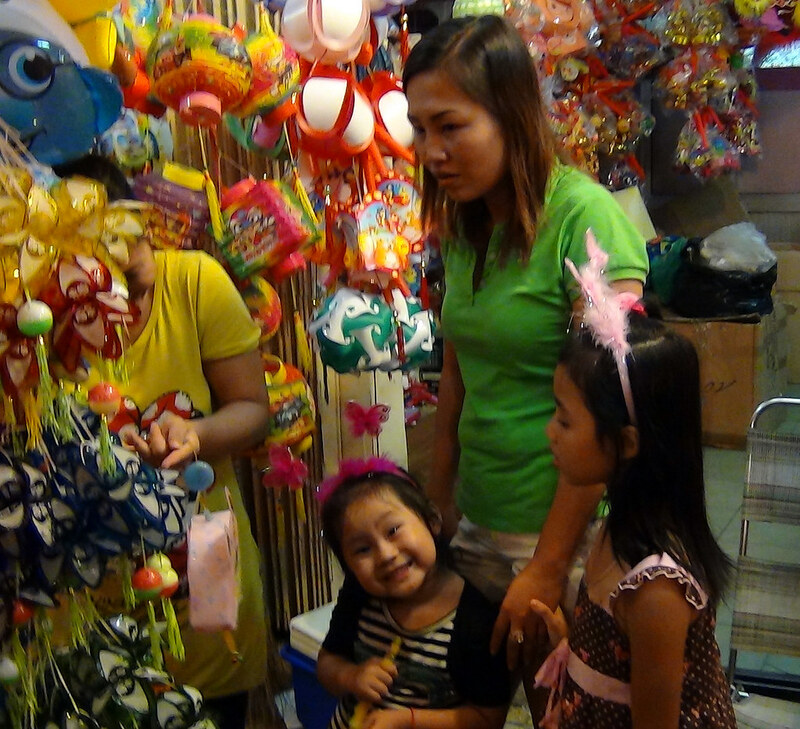 Pray for young families in Vietnam to give the best gift possible to their children - Jesus Christ. 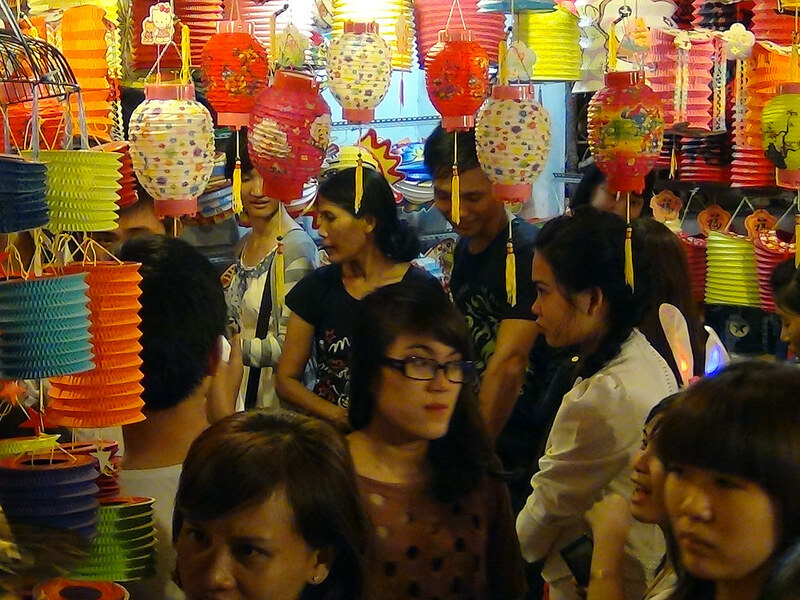 Crowds in the streets looking at and buying lanterns. 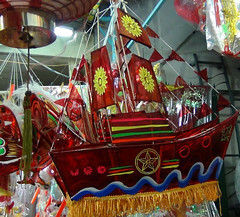 Ships symbolize prosperity and fortune - pray that the VN peoples will value Christ over wealth. 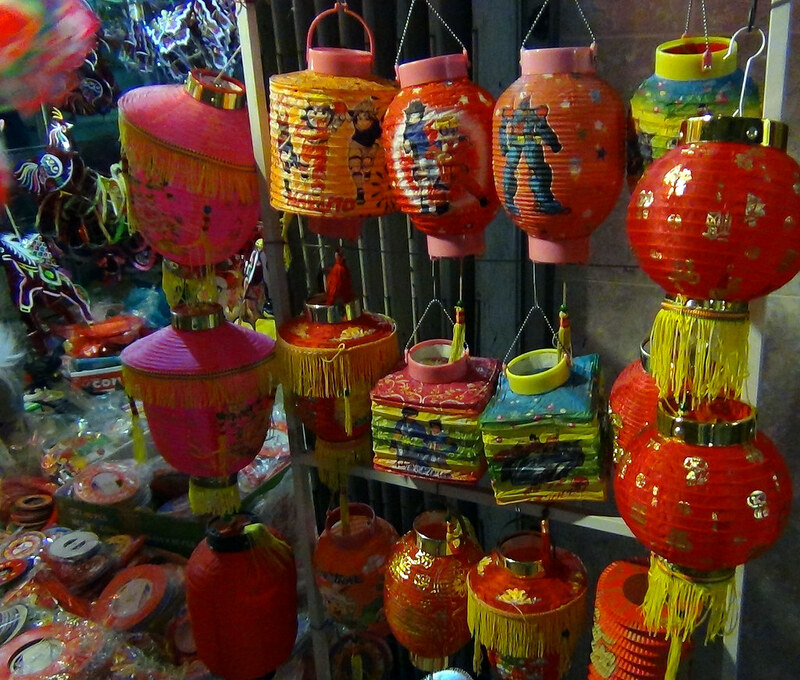 Ever changing with the times, Tet Trung Thu lanterns can be found with Snoopy and Angry Bird themes as well.